I have more beads to add to my update page, but ran out of time tonight... I'll continue to add them - so maybe tomorrow you can come back and see the rest. 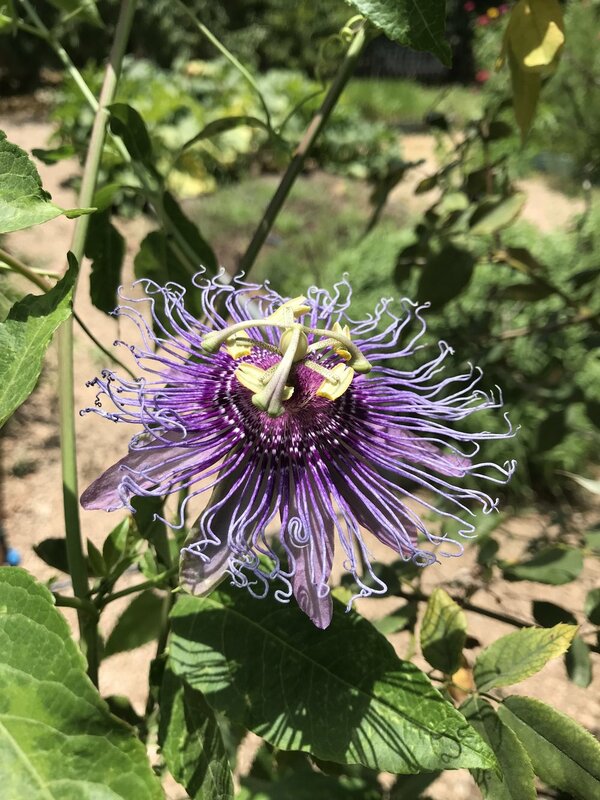 I spent some time this weekend tromping around Driftwood and Wimberley Tx... this picture just seemed to embody the feeling of summertime - but also reminded me of a series of beads called Synapse... I'll see if I can locate an image - and see what you think. The photo is taken as I hovered over a swimming pool... thinking I have to watch myself - and not fall in with my phone in hand!! It's been super hot here - and summertime isn't even officially here. Nonetheless... I torch at the beginning of each week and usually have more items than I post here... but I will endeavor to be better. Well, there were other images... so, I'll continue to share. No matter how many of these I see... they always look other-worldly! 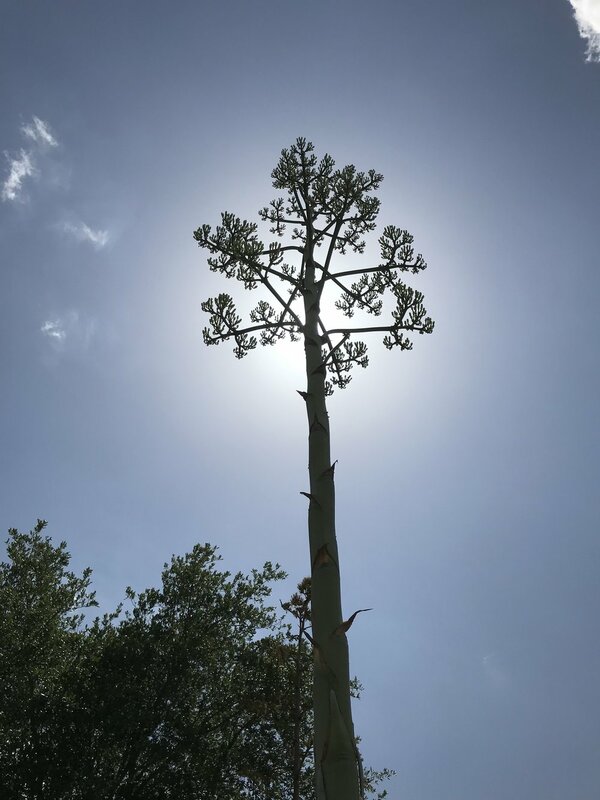 Century Plant - AKA - Agave Americana - This monster is huge... towering above me... it sprouts from the thorny base - and looks like a huge and singular piece of asparagus... it sprouts the top - they bloom into a fuzzy mass... then it dies in a blaze of glory.